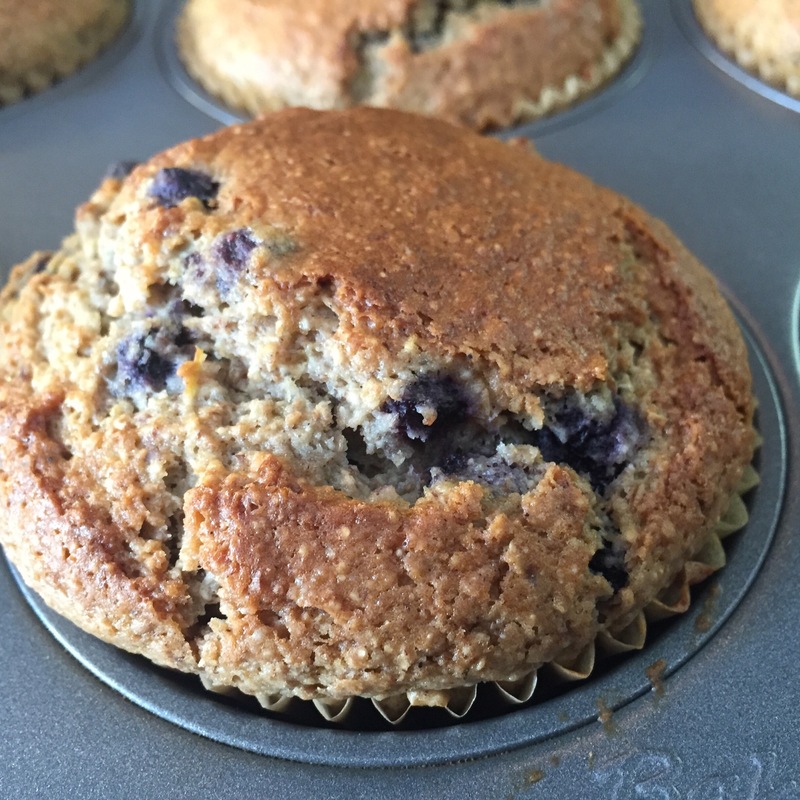 Muffin Mania… Blueberry, Pear Almond Chocolate and more! Well, simply put, I love baking muffins! I love that they are easy and quick to make, that you require very few tools to complete the task, that ingredients are usually readily available in most pantries and that there is little guilt in eating them! 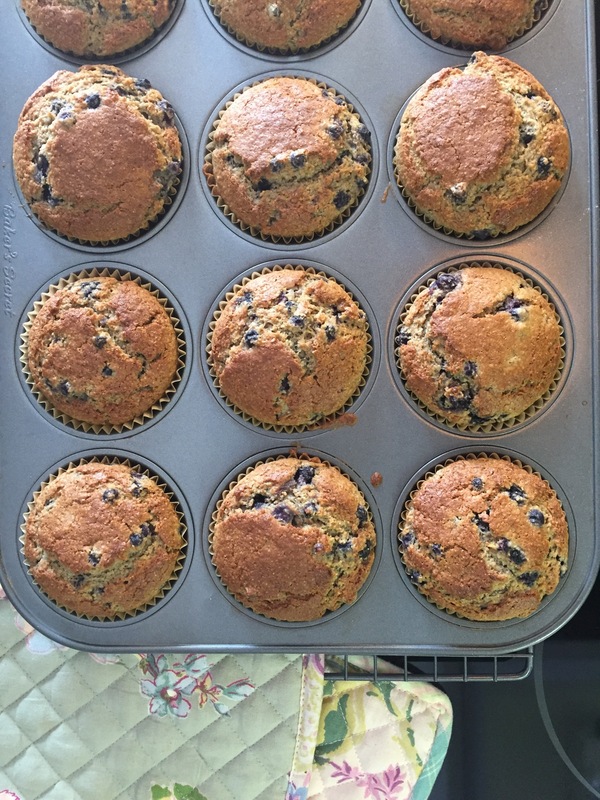 Muffins are a great way to use up fruit that may have started to wrinkle a bit. In our palace, it is often muffin mania!!! This flour can be used in most muffin recipes. Why use this muffin flour? It yields tender centers and crispy tops. It is packed with nutrition, fiber, a bit of protein and a bit of good omegas. You can substitute any of the recipes below with all-purpose flour. ¹ You can substitute regular milk, full or low fat. You can also use Kefir or plain yogurt mixed with milk to liquefy, maybe half yogurt and half milk. Please note: I have never tried nut milks, rice milk or soy milk. ² I prefer organic oils such as canola, avocado, sunflower or grapeseed oils over butter but anyone of those oils can be used. Preheat oven to 400ºF, set rack to middle of oven. If your oven has a convection setting, I recommend it. Prepare your muffin trays as you prefer: well-greased with a dusting of flour or lined with paper muffin cups. I love unbleached parchment paper cups: muffins do not stick at all on the paper and cleanup is a breeze. And these papers liners are 100% biodegradable. Make a small well in the center of the flour mixture: pour in the liquid mix. Using a wooden spoon or a rubber spatula, fold in the flour and the liquid until just well combined. Fold in blueberries. Do not over mix: it is ok to have a few small lumps in the batter. Using a spoon or large ice cream scoop, divide the batter equally between the prepared muffin cups. There should be enough batter to fill each cup to the edge of the paper. Remove from oven and try to wait until they are at least cool enough to handle before digging in! Add 1/2 cup each chopped toasted almonds and chocolate chips to the flour mixture. Add 1/2 to 1 tsp almond extract to the liquid mixture. Topping: mix 2 tbsp. of sugar (Demerara is great) to 1 tsp of cinnamon. Place a few pieces of apples on top of each muffin and sprinkle with sugar/cinnamon mixture before baking. Thanks Leona! 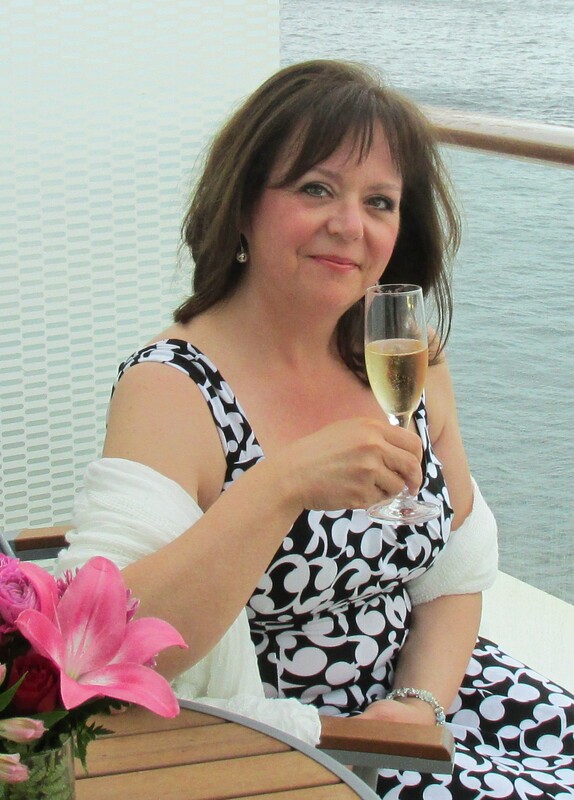 It was time I shared the love lol!